Yellow Pear Tomato is a very old heirloom tomato variety that’s been documented for more than 200 years. Plants produce bright yellow, pear-shaped cherry tomatoes with a sweet, mild flavor. Gardeners like this variety because it’s unusual and even cute. Traditionally, it was eaten fresh and to make fresh tomato preserves until recently, when chefs and restauranteurs have made it a favorite in salads, pasta, and salsa. Yellow Pear Tomatoes have become increasingly popular at farmers’ markets. ). Yellows produce prolific amounts of fruit until frost, even in cooler zones. As with most cherry varieties, blossom end rot is not a problem. But plants tend to be particularly susceptible to early blight. What’s the history of the Yellow Pear Tomato? The variety spread to North American fairly quickly. 1825: The Hudson Bay Company at Fort Vancouver, though the headquarters of the Northwest fur trade, also operated a farm with vegetables, fruits, herbs, and flowers and sold Yellow Pear Tomatoes. 1847: Yellow Pear was one of three tomato varieties recorded to be grown in the U.S.
1863: 100 varieties of tomato seeds were sold in the western territories (Utah and Colorado) by seedsman Joseph Ellis, including the Yellow Pear. 1934: Oscar Will & Co. (Bismarck, ND) introduced the Fargo Yellow Pear. 1983: Beam’s Yellow Pear introduced to the Seed Savers Exchange (SSE), a leader in heirloom seed preservation. 1998: 25 Yellow Pear varieties offered by SSE. Fargo Yellow Pear: developed by breeder Dr. A. F. Yaeger by crossing Bison Tomato with the traditional Yellow Pear. Fruit is larger and also crack resistant. Fargo Yellow Pear plants are determinate. Red Pear Tomato: one of the oldest American heirlooms, dating back to the 1700s. Austin's Red Pear Tomato: a newer, bushier red pear open-pollinated type of tomato. Buy Yellow Pear Tomato seeds. Click here. Buy Beam's Yellow Pear Tomato seeds. Click here. Buy Red Pear Tomato seeds. Click here. 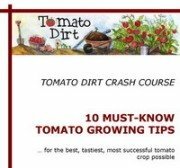 Buy Austin's Red Pear Tomato seeds. Click here.